On Saturday we were at Steve & Emma’s wedding in Surrey. 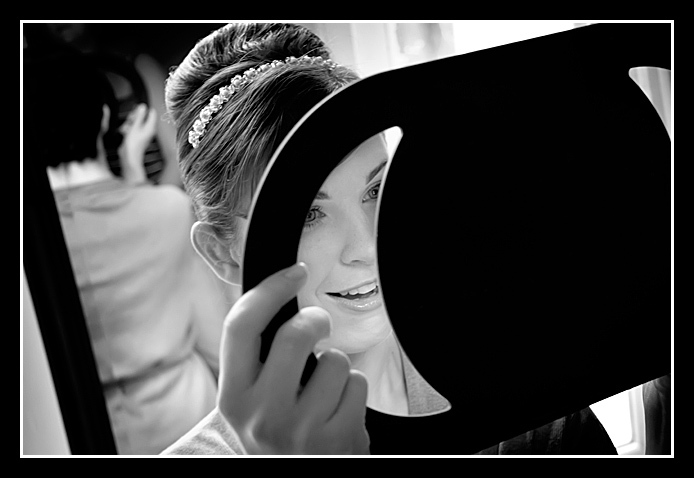 Here’s Emma getting ready – checking out the hair. 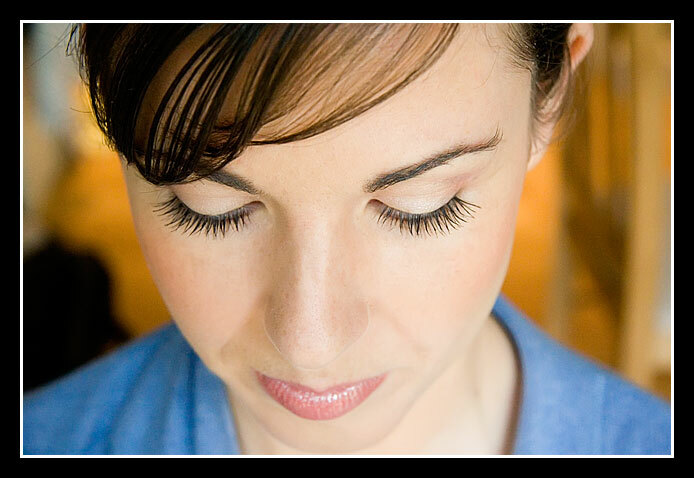 What gorgeous eyelashes she has! 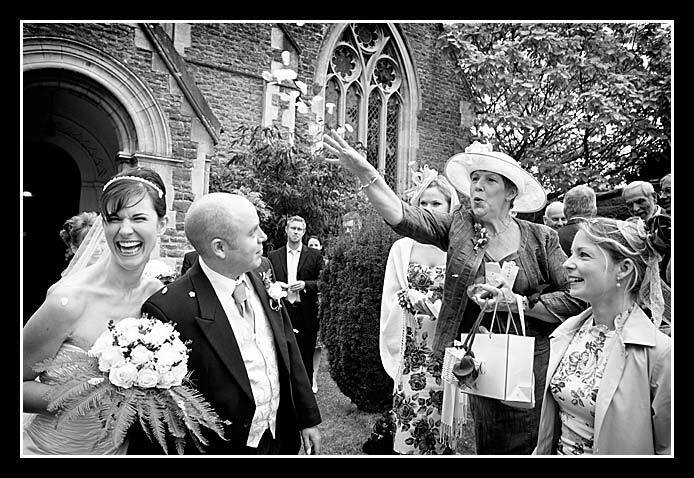 Emma’s mum really enjoyed throwing her confetti although Steve was wondering if she was just a tad too enthusiastic! 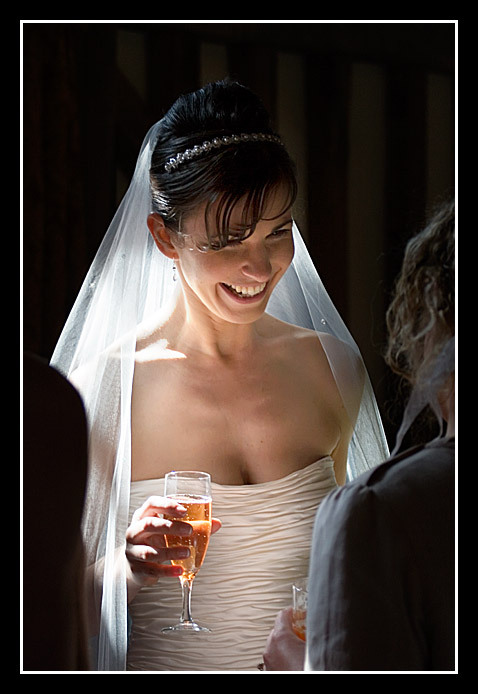 Then we went to the reception at Gate Street Barn where the light was simply stunning. The barn looked lovely with the beautiful flower decorations and details. And here’s Charlotte the flowergirl enjoying the bubbles. Emma’s veil was an incredible length and flowed beautifully in the wind. Of course no wedding is complete without a few embarrassing speeches – sorry Stephen but we think you look really cute!